Along with New England and California, Braseal is one of the second-ranked industrial powers of the Americas after Canada-Louisiana. Even before the bloody Revolution of 1970, when it took control of what was the Portuguese Empire, it was the centre of that Empire in terms of size, population and productivity, but now that is also the case in name. Despite its change of name and focus, Braseal maintains the long-standing Anglo-Portuguese alliance, originally formed in 1373. Many of the population of Braseal are descended from slaves imported from Africa, either freed piecemeal over the years, or in the general emancipation after the Revolution and founding of the Brasealean Empire. 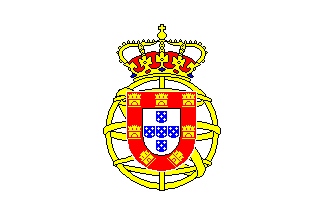 Braseal is ruled by the Royal House of Braganza, as it has been since 1640. The current monarch is the former Prince of Brazil, now Emperor Alphonso I, who was largely responsible for the Revolution. However, the Emperor is becoming old now, and worries are beginning to be voiced regarding the Brasealean succession. Alphonso I was a military man before the Revolution, and has maintained these ties since he became Emperor. Because of this Braseal is essentially a military dictatorship and a moderate One Truth Catholic state, if a fairly benevolent one. Because of the ties between the nobility and the military, under Alphonso Braseal is ruled by the Brasealean Council of Nobles. Portugal and the Brasealean colonies are ruled by nobles appointed by and members of the Council of Nobles, usually for a fixed period of five years in a system not unlike that used in the Dominions of the Anglo-Danish Empire. Because of this conditions in the Brasealean colonies vary a great deal depending on who is currently controlling them. Portugal is considered to be the second most important region of the Empire after Braseal itself, and is ruled by the highest-ranking noble of the Empire after the Alphonso I himself. There are a number of pro-Portugal political movements in the Empire of Braseal who want a return to the old state, in which the Empire was run by and for Portugal rather than Braseal. Some of these are actually terrorist groups. All of them are banned in the Empire. The capital of Braseal is the city of Salvador [Salvador da Bahia]. A former part of the former Spanish colony of New Granada, from which it split in 1825 over reconcilable political differences. The two nations have not got on well since. Casaquiarja is also a member of Le Pacte d'Amazone [the Amazon Pact]. Its name is often abbreviated to Casaqui. Although nominally a democratic republic, Casaquiarja is in reality an oligarchy, with power in the nation held by a combination of the former Spanish nobility who stayed with Casaquiarja after independence, and the Casaquiarja military, the leadership of which also has strong ties with the nobility. Officially the currency of Casaquiarja is the Casaquiarjan Peso, but unofficially the French Livre carries at least as much weight in the country. A former Spanish colony in South America, which gained its independence from Spain in 1801. It is a member of the Tucumán Pact. Its capital is the city of Tucumán [San Miguel de Tucumán], where the Tucumán Pact was signed. Chaco is a nation largely dependant on agriculture for foreign trade. The government of Chaco is a democratic one that incorporates elements of Sophocracy into its organisation and functioning, but is not a full Sophocracy. Because of this, and with the franchise being limited to those above a certain income level, Sophocratic ideas are actually used to limit those who can stand for government, normally to those 'approved' by the existing establishment. Since the signing of the Treaty of Coligny in 1973 Chaco has benefited from ties to France and its allies in South America and the rest of the world. Officially the currency of Chaco is the Chaco Peso, but unofficially the French Livre also carries significant weight in the country. A former Spanish colony in South America, Charcas [Bolivia] gained its independence from Spain in 1905. Its capital is the city of La Paz. Its government is an oligarchy made up of the nobility, the rich and military, three groups which overlap to a great extent. Charcas is quite rich in natural resources but still suffers from poverty as only its ruling elites and foreign companies which invest in the country benefit from the wealth they generate. A former Spanish colony in South America, which gained its independence from Spain in 1808. It is a member of the Tucumán Pact. Its capital is the city of Santiago. The Chilean government incorporates elements of Sophocracy into its organisation and functioning, but is not a full Sophocracy. Partly because of this it suffers a great deal from nepotism and corruption, so that its government is actually closer to an oligarchy than anything else. Since the signing of the Treaty of Coligny in 1973 Chile has benefited from ties to France and its allies in South America and the rest of the world. In addition to its massive copper reserves, Chilean wine has, with French assistance, come to be drunk around the world. Officially the currency of Chile is the Chilean Peso, but unofficially the French Livre also carries significant weight in the country. The French colony in the southern part of the Atlantic coast of South America, France Antarctique is part of France-Outre-Mer. Its capital is the city of Coligny [Rio de Janeiro], named for Fort Coligny, the original French settlement in France Antarctique around which the city has grown. France Antarctique is a member of the Le Pacte d'Amazone (the Amazon Pact). The French colony in the northern part of South America, containing much of the lower reaches of the River Amazon within its borders, France Équinoxiale is part of France-Outre-Mer, and is also a member of the Le Pacte d'Amazone (the Amazon Pact). Much of France Équinoxiale is largely barren scrub caused by the removal of forest cover for farming, which was quickly followed by the washing away of the thin soil it held in place. In the aftermath of the disruption and famine this caused, much of the food supply of France Équinoxiale comes from farming of the River Amazon itself, for fish and edible water plants. Though this too causes ecological problems, it suffices to feed the population. Most of the income of France Équinoxiale comes from pharmaceutical products extracted from its remaining enclaves of rain forest, with some income also from its river farms. Most of the population of France Équinoxiale lives along the river, much of it is a few large cities. The River Amazon serves as the main route for travel within the country, by both boat and skimmer [hovercraft]. The capital of France Équinoxiale is the island city of Saint Louis. The Anglo-Danish colony in the north of South America, it is a Dominion run from London by a government-appointed President and their advisory council. Originally founded to grow sugar cane, over time the dominion has also developed mining and a number of industries. It is also quite heavily militarised as protection against the adjoining French colony of France Équinoxiale and its ally of Casaquiarja. When the Dominion was established, the Great Three companies had a monopoly on most trade and industry there. However, objections of the local people and events in Nigritia led to a modification of their policies that reduced the monopoly enough to keep the local people happy while retaining most of their power in the Dominion. Guiana also includes a number of the islands of the Lesser Antilles. Before the Long War the island of Puerto Rico was part of Guiana, but this was lost to France in the course of the war. The Anglo-Danish colony in the southern tip of South America, which also includes the Falkland Islands and Roche Island [South Georgia]. Like Guiana it is a Dominion run from London by a government-appointed President and their advisory council. Originating as a trading colony in 1669 Kingsland was also used as a penal colony. Since then it has developed a strong economy based around agriculture, mining and industry of all kinds. It also houses a significant military presence, largely because of the French presence in Mapuche and France Antarctique, but also because of the strategic position of Kingsland which controls the seas around Cape Horn. Most of the industry and utilities of Mosquitia form part of the Royal Universal Company or the Hudson's Bay Company. Its capital is the city of Port Desire [Puerto Deseado]. A former Spanish colony in South America, which gained its independence from Spain in 1808. It is a member of the Tucumán Pact. Its capital is the city of Buenos Aires. The government of La Plata is a democratic one that incorporates elements of Sophocracy into its organisation and functioning, but is not a full Sophocracy. Thus La Plata is actually a state run by its nobility rather than the people as a whole, who use the principles of Sophocracy to justify their having and retaining power. Since the signing of the Treaty of Coligny in 1973 La Plata has benefited from ties to France and its allies in South America and the rest of the world. Officially the currency of La Plata is the La Plata Peso, but unofficially the French Livre also carries significant weight in the country. The French colony in the southern tip of South America founded in 1783 with France's purchase of the territory from Spain, it forms part of France-Outre-Mer. Soon after its foundation, conflict with the native Mapuche people led to their defeat and subjugation in 1790. However, after the Second French Revolution the Mapuche people were given equal rights in their own lands and now play a major part in the economy and politics of the colony. Since its founding, Mapuche has been the site of a number of conflicts, first in the Patagonian War with the nations of the Tucumán Pact who considered its territory to belong to them, then during the Long War when it fell to combined forces of the Anglo-Danish Empire and the Tucumán Pact in 1948. Controlled by the Tucumán Pact until 1970 it was returned to French control in that year after secret negotiations allowed the Tucumán Pact to leave the war. Because of its significant Mapuche population and its long period of control by the Tucumán Pact Mapuche has developed a culture which is a mixture of French, Mapuche and South American Spanish influences. A Scottish colony in the southern tip of South America, north of the French colony of Mapuche, it was founded in 1793 with the assistance of the French government. It is a trading post and military outpost, and also provides a neutral setting for commerce among the south American nations that surround it. Its capital is the city of the same name. Since its founding, New Fife has been the site of a number of conflicts, first in the Patagonian War with the nations of the Tucumán Pact who considered its territory to belong to them, then during the Long War when it fell to combined forces of the Anglo-Danish Empire and the Tucumán Pact in 1948. Controlled by the Tucumán Pact until 1970 it was returned to Scottish control in that year after secret negotiations allowed the Tucumán Pact to leave the war. A former Spanish colony in northern South America, which gained its independence from Spain in 1820. Because of its ties with the Anglo-Danish Empire since the signing of the Treaty of Havana in 1845, New Granada is a relatively un-corrupt republic with the franchise limited to landowners only. However, the nation and its institutions are also heavily influenced by the Great Three companies of the Anglo-Danish Empire. The currency of New Granada is the Granadian Peso, which is closely linked to the Anglo-Danish Pound. A former Spanish colony in South America, which gained its independence from Spain in 1905. Peru is also a member of the Le Pacte d'Amazone (the Amazon Pact). Its capital is the city of Lima. A military-dominated oligarchy, Peru is rife with corruption, despite the best efforts of the French. The large Peruvian military is heavily involved with internal security, especially the suppression of the significant underground One Truth political movements in the country. The Peruvian government use these movements as an excuse for maintaining their power in the country. Officially the currency of Peru is the Peruvian Peso, but unofficially the French Livre carries at least as much weight in the country. A region on the north-eastern coast of South America which was originally settled by the Dutch. It was taken over by Prussia in 1872, shortly after Prussia took over the Netherlands themselves. Suriname is rich in minerals, and also has significant agricultural resources, all of which Prussia continues to exploit to the full, leading to significant degradation of the environment there. Prussia also maintains a military presence in the colony. Prussian Suriname is an associate member of Le Pacte d'Amazone (the Amazon Pact). Its capital is the city of Neues Berlin [New Berlin; real-world Nieuw Amsterdam, Suriname].